Is Your Baby Ready to Eat Solid Foods? What a Good Eater Podcast - What a Good Eater! In Is Your Baby Ready to Eat Solid Foods? What a Good Eater Podcast, we help you to answer the question: Is your baby truly ready to begin chowing down? If your baby is around 4-6 months old, there are five checkpoints needed to begin solid foods. We’ll take you through each of them so you can feed your baby confidently and enjoy watching them experience those first yummy bites. Be sure to stay tuned for our next episode, where we discuss how to begin solid foods with your baby. 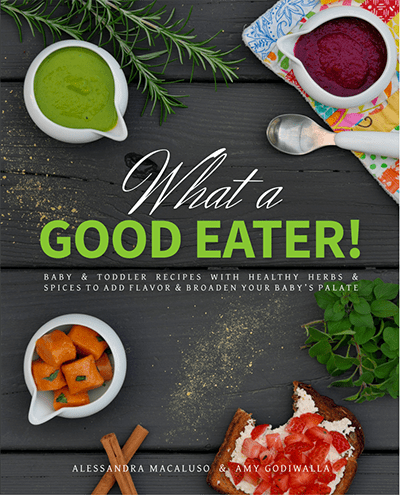 If you enjoyed Is Your Baby Ready to Eat Solid Foods? What a Good Eater Podcast, forward this to a friend, and rate us on iTunes, Android, or wherever you listen. You can catch up on all of our other episodes here. Check out the What a Good Eater! cookbook for fantastic ideas on family-friendly meals, sample food schedules and menus by age, healthy snack ideas by age, and meals ready in about 30 minutes or less for busy parents.